Tobermory is the main town (capital) in Mull on the north-east of the island, whose Gaelic name, Tobar Mhoire, refers to a local ancient well dedicated to the Virgin Mary. Its prominence grew with the development of the sheltered harbour for fisheries, under the patronage of 5th Duke of Argyll and implemented through the British Society for Extending the Fisheries and Improving the Sea Coast of the Kingdom. The success of the new town, designed by Thomas Telford, was later underpinned by the kelp industry, a short lived industry supporting Napoleonic Wars, which led to the establishment of the pier in 1814. 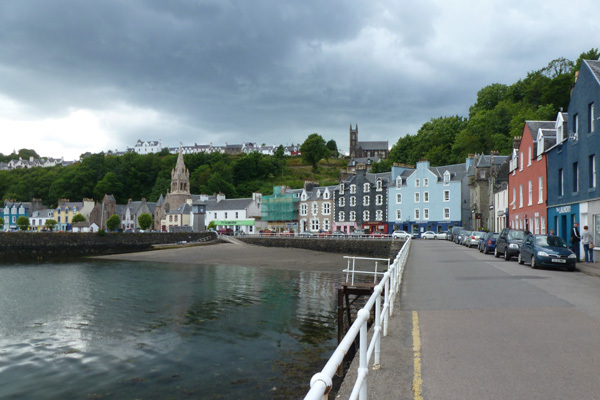 Following a period of decline, Tobermory fortunes were revitalised as a tourist destination with royal praise. 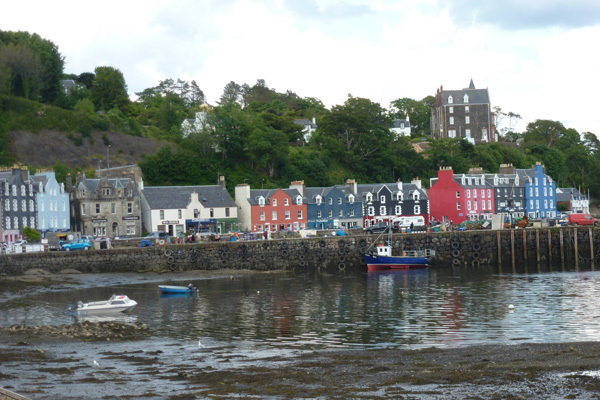 Its colourful buildings along the harbour have since become famous in the children’s TV series, Balamory. For some, Tobermory still holds the allure of buried treasure from the sinking of a vessel from the Spanish Armada in 1588. There are a variety of shops in on the Main Street including a craft shops (pottery, wood, jewellery) bookshop, chocolate shop, sweet shop, tackle shop, chandlery, iron mongers, pharmacy bakery, post office, general store ( Co-op), as well as a beauty salon, hotels, cafes and pubs. There are also some charity organisations with shops including Life boat shop and Hebridean Whale and Dolphin Trust shop. The Mull Museum in Columba Buildings on the Main Street is certainly well worth a visit. It is open from Easter to October. The small museum showcases the history of Mull through a series of imaginative exhibits, including ones on prehistoric life, crofting, fishing, farming, clans and daily life through World War I and II. The museum also contains a number of artefacts including a bras oil lamp from one of the earliest steamers, a salvaged bronze bell from a German U -boat and a 17th century pewter communion cup. There is also an exhibit on the Tobermory Galleon and other local shipwrecks. There is also an interesting exhibit on the geology of Mull. The Museum has also produced a guide to the archaeological landscape of Baliscate. There is also a brewery in Lediag at the end of the pier. The brewery was established in 1798 and is the oldest commercial brewery in Scotland. 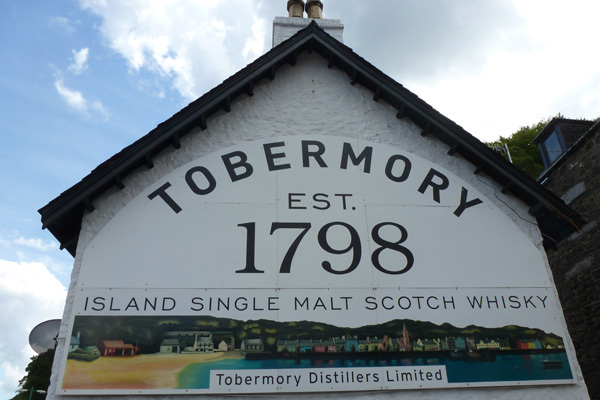 The brewery produces two types of malt whisky, a light peaty whisky known as the Tobermory and a robust peated, rich Ledaig. Guided tours are available. The Harbour Dive Centre is well worth a visit. There are some interesting exhibits including displays on fishing through the 19th and 20th Century, RNLI (the Lifeboat charity), the history of the local lighthouse and seawall, the importance of buoys and markers, local wrecks and sustainable use of the sea for boaters and yachtsman, as well as the wildlife around the Hebrides. There is also a video introducing the biodiversity of the seas with musical accompaniment, and a live aquarium. The aquarium houses fish and crustaceans caught locally and on our visit included velvet crab, swimming crab, shore crab, skate, squat lobster, wrasse, stone fish, pipefish and scallop. The fish and crustaceans are fed about 2pm, so this is a good time for time to see some action. The Mull Theatre in Druimfin is just south Tobermory and offers a varied programme (including drama, dance, comedy, opera, musicals, children’s productions) in its production centre set in a woodland surrounds. There is also a community arts centre, An Tobar. In early July, Tobermory hosts its annual Mendelssohn on Mull Festival to commemorate the visit of Felix Mendelssohn in 1829. Other musical events include the Mull Music Festival in April and local Mod in September. 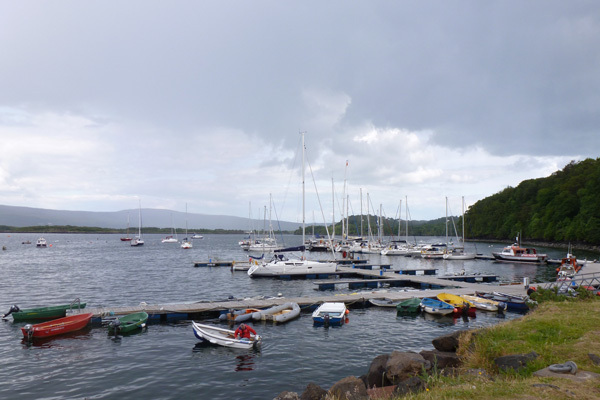 There are some a number of short walks starting in Tobermory including a short easy walk to Rubha nan Gall and the lighthouse (3 miles) and Aros Park, a lovely coastal walk to the wooded park with its artifical loch, starting behind the Harbour Diver Centre (4.5 miles). 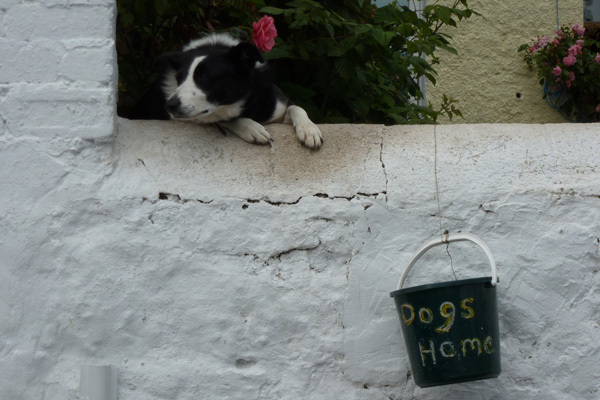 Guided wildlife and mountain walks are also available. There is also a selection of other walks accessible by car or public transport from Tobermory. Tobermory also supports a Tourist Information Centre at the car park, a Memorial Park and a Tobermory Golf Course (a challenging nine hole course overlooking Tobermory Bay). 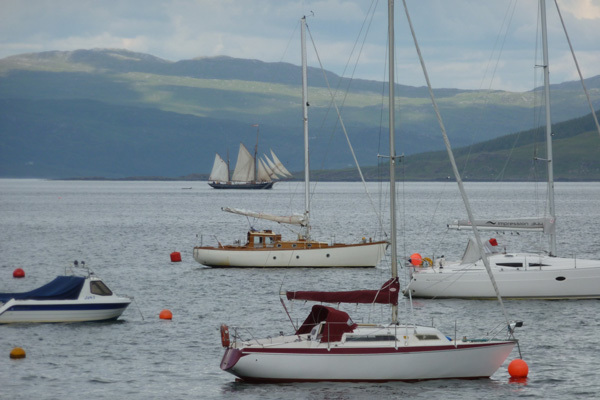 Wildlife harbour trips, whale and dolphin trips, as well as boat trips to the Isle of Staffa, Treshnish Isles can be taken from Tobermory Harbour. There is a regular ferry services to Tobermory from Kilochoan on the Ardnamurchan peninsula. If taking your car, there is also a ferry service between Lochaline and Fishnish. 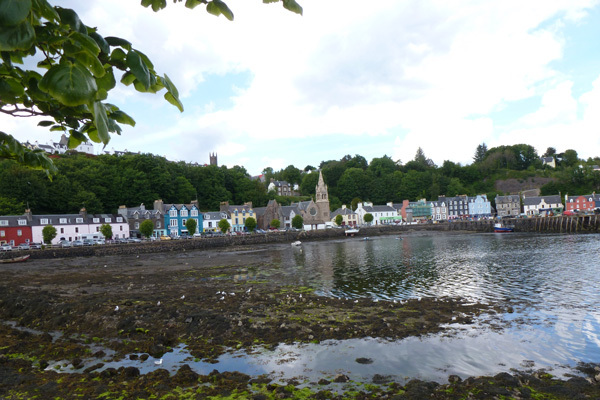 Tobermory is about 40 minute drive along the coastal road from Fishnish. However, it may take longer, given the scenery and the opportunities for wildlife spotting on route. All in all, the makings of a great day out from Moidart, the Ardnamurchan and the Rough Bounds!